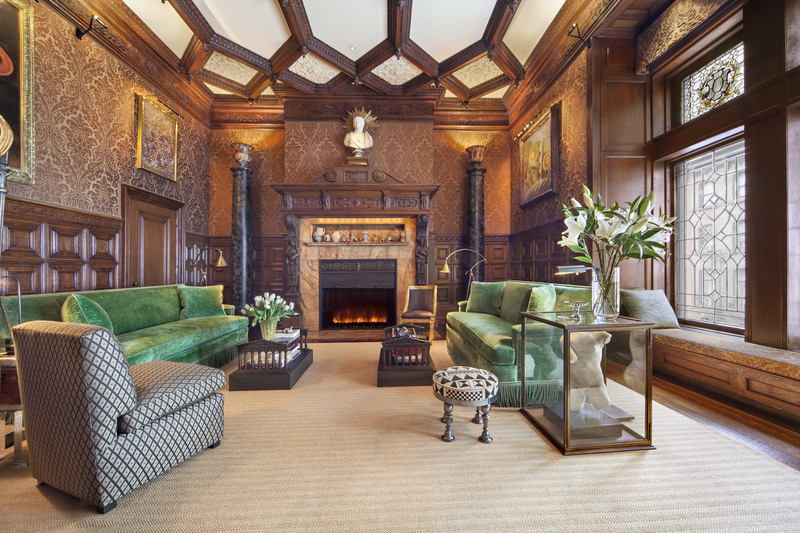 Gilded Age New York is alive in this rare Stanford White masterpiece at 23 Park Avenue in Manhattan. 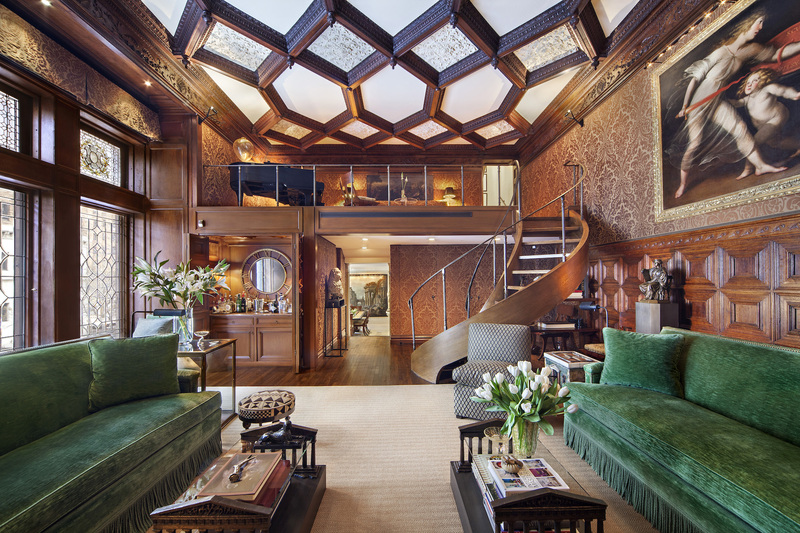 The romantic double height main living room speaks of a bygone era with its original paneling, deeply coffered ceiling and monumental fireplace that is the heart and focus of the home. This “Grand Salon” is punctuated with beams of soft light filtering through towering leaded and stained-glass windows that have been meticulously restored. A sweeping staircase ascends to the mezzanine level library perched high above, further emphasizing the splendid proportions of this stunning entertaining room. A second stair continues upward from the mezzanine to the private quarters that include two bedrooms and two large stone bathrooms with vaulted ceilings. The master bedroom ceiling soars to 12 feet, perfectly accommodating a triple bay window. The second bedroom (currently used as a study) also has high ceilings and is outfitted with custom shelving. Both rooms enjoy natural Southern light and have an abundance of closets. 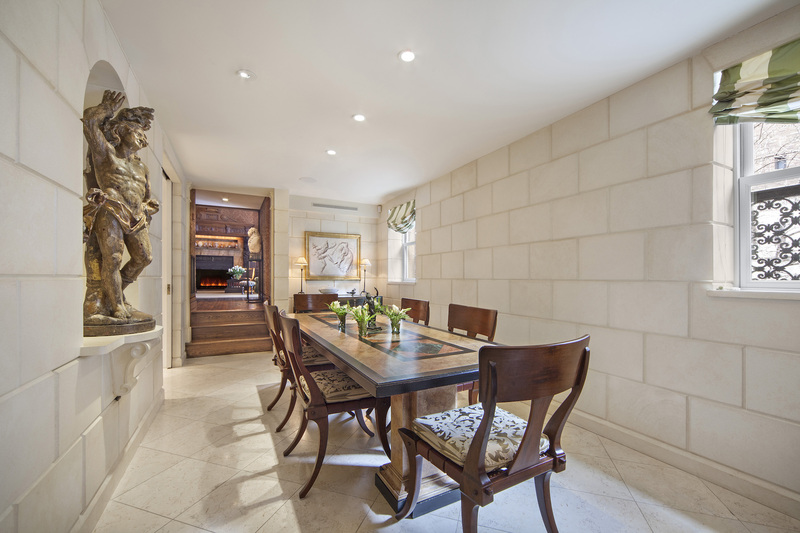 Down a few steps from the main living area, beyond the entry foyer and past a hidden door to the guest powder room, is the formal dining room and newly renovated modern kitchen with top appliances including a Viking range and full height wine refrigerator. This duplex apartment has the feel of a private townhouse but is an intimate part of a well-maintained landmarked mansion disguised as a cooperative apartment building. 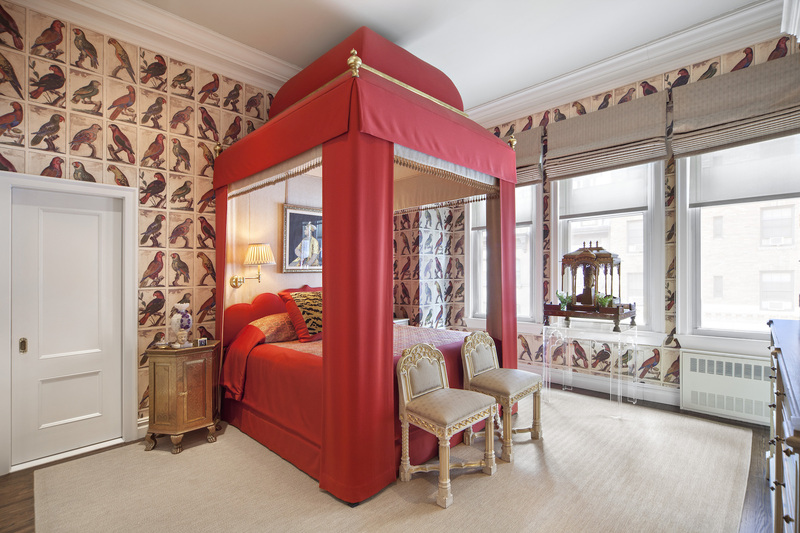 Designed by Matthew White, one of Architectural Digest’s top 100 designers, this apartment is thoughtfully designed and fitted out with top quality finishes to compliment the irreplaceable original gilded-age Stanford White details. It is listed for $4.35 million with Stribling & Associates and is showcased by Luxury Portfolio.